With our line of Whitewood plans, we've got your southern lifestyle covered! You'll be sipping lemonade or sweet tea on your front porch rocking chairs in no time. We're looking for buyers with as much Southern charm as Whitewood Farm. And I suppose you Yanks who intend to learn the charms and grace of us southerners are welcome, too! Life is more than work and stress and we're building a community of good folks, not just a neighborhood full of homes. We built a house, you fell in love. Sign a contract, move your stuff. The end, you live happily ever-after. Choose the things that's in yo price. Sit back and watch us build it right! With our newest plan, Cedar Mill, we wanted our customers to experience the best years of their lives with a large, luxurious master, an open kitchen/living room, but also a traditional formal dining room. The staircase isn't quite as prominent in this plan for those who prefer a more open foyer. Traditional southern living with a modern twist! A 3 bedroom, main level master with additional study down, Peach Tree has a large kitchen and open concept. At 2,768 finished interior square feet and 300'+ of covered outdoor living, it is a perfect size for families! Among our European farm styles, Peach Tree will help capture the American farmhouse presence in Whitewood Farm. A main level master with a modern, open living/dining/kitchen concept, the Eleanor boasts of 3 bedrooms and a bonus. And with the alternative 2nd floor, a 4th bedroom can be added to this versatile plan! 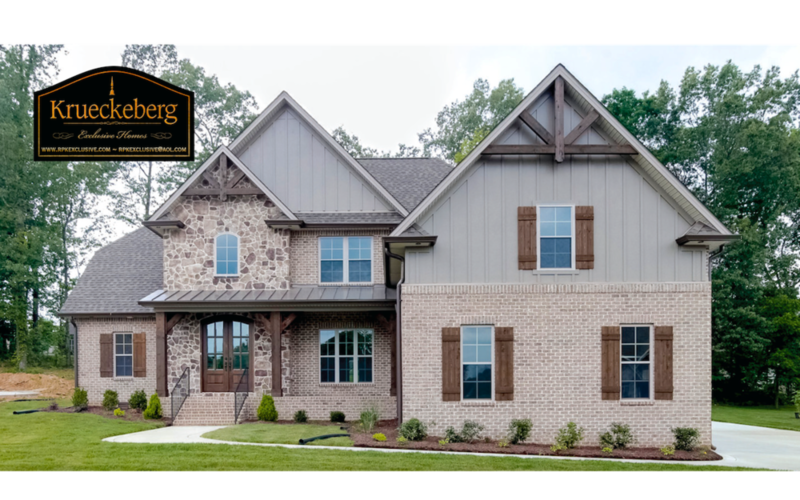 Heavily influenced by traditional European architecture and with a gem of a front porch, The Hanley is designed to take your breath away at every turn. With a soaring 2-story entry, luxurious master suite, and a flowing, indoor/outdoor open concept, this plan is sure to knock your socks off. Can an exterior get more "Tennessee" than this?! 4 bedrooms and 3 baths, a cozy living room with 10' ceilings, and a large eat-in kitchen are sure to meet and exceed your lifestyle expectations. This is the way southern living is supposed to look and feel on the inside and out! This main-level master is another of our blended architecture plans. One of our most popular 4-bedrooms, Clark Farm has an open kitchen and living, but maintains its southern roots with a formal dining. The upstairs Jack and Jill bath has separate vanities to keep your little angels from turning into bickering devils!